*Some models may include additional features. The one place where we should feel most comfortable is our home. 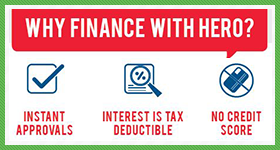 Aura Home Systems line of ductless mini-split air conditioners makes efficient, dependable, and affordable cooling and heating for your home a reality. Constructed of high-quality Japanese internal components, and using the highest grade pure copper coils and lines, these systems are perfect for both residential and light commercial applications. 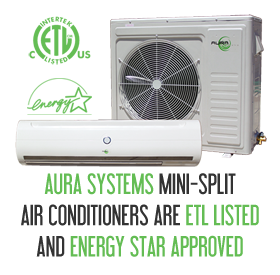 Aura mini-split air conditioners are available in 8 different models (12,000 BTU / 18,000 / 22,000 / 30,000 / 36,000 / 18,000 Dual Zone / 27,000 Triple Zone / 48,000 Dual Zone). These systems are capable of cooling or heating individual rooms from 340 square feet up to 1800 square feet. © 2017 Aura Home Systems. All Rights Reserved.